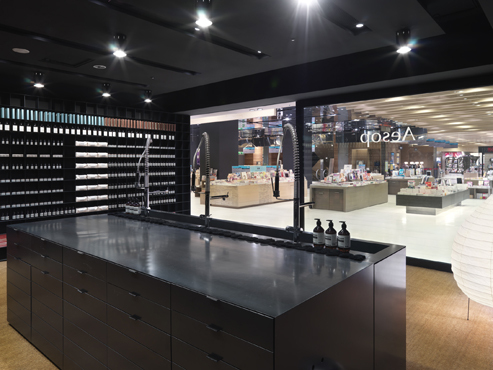 Different from the ordinary market operation, Australian beauty brand Aesop has entered the Eslite Bookstore at Shin-Yi district in November, 2007. Situating at the 2nd floor best-seller area, Aesop breaks the rule of cosmetics retail space planning, boldly places the shop in the bookstore. The customers can now purchase the beauty products while reading and selecting books. This innovative retail positioning derives from the unique target group of Aesop. People who come to Eslite Bookstore love books and arts, which matches the Aesop customer base. Putting Aesop in Eslite can broaden the reading scale of the consumers, and at the same time strengthen the aesthetics in life. 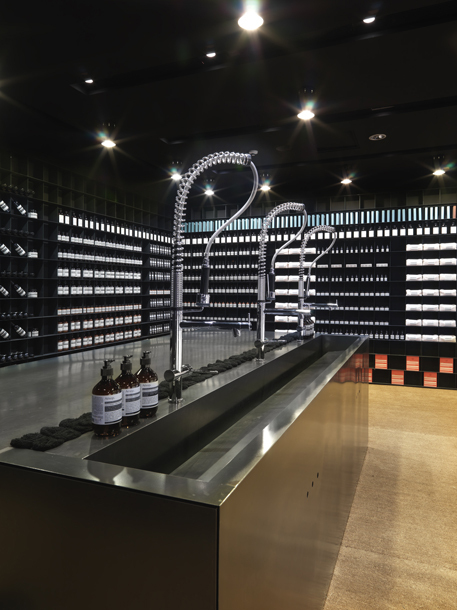 The interior and space is designed by Shichieh Lu, the award-winning architecture who works with Aesop for the time being. 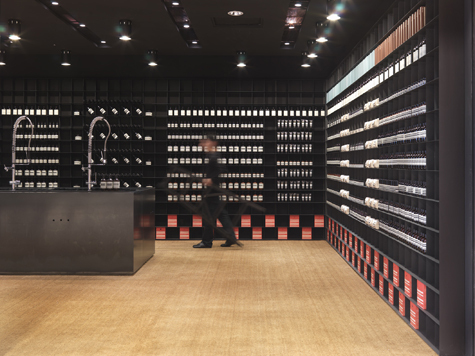 Lu takes “bookstore/ library” as the design concept and adopts the black element from Eslite interior design, using the black iron bookshelf to display beauty products. Numerous products lining up on the shelf, creates the minimalist atmosphere. 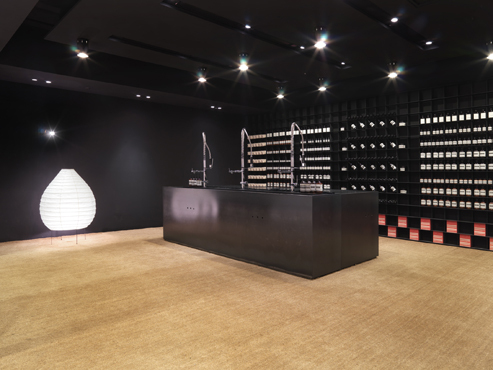 Lu also uses black oak and palm tree fiber carpet to forge a calm and natural environment, which consolidate Aesop as a brand with humanity concern.